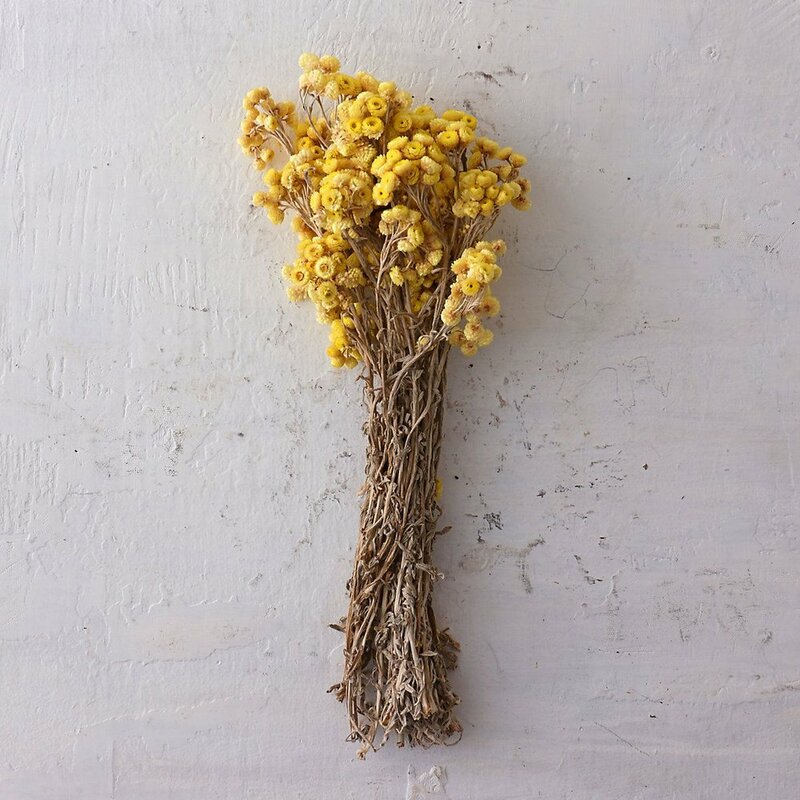 STORY AND SYMBOLISM: The name Immortelle - ‘everlasting’ came about because it retains its intense sun-filled yellow colour even when dried: their petals will neither fade nor wilt. This is why they were often favoured in the 19th century to make up the funeral wreathes laid at the tomb of a departed loved one… Objects made from immortelles suggest that the Immortelle flowers served as markers of continuity in a world challenged by uncertainty and change, and the flower became a symbol of Immortality through memory. SCENT: Honeyed notes of warm spice, herbaceous hay-like curry, succulent earthy fruit. BEAUTY: Ever-lasting Radiance! Due to its potent restorative cell regenerating properties, Immortelle enhances healing and rejuvenation, improving the appearance of skin ‘imperfections’: wrinkles, scars and blemishes. Improves elasticity. MAGIC: Inhale dreamy mountain meadows - comforting in their golden warmth, and freeing in their altitude. 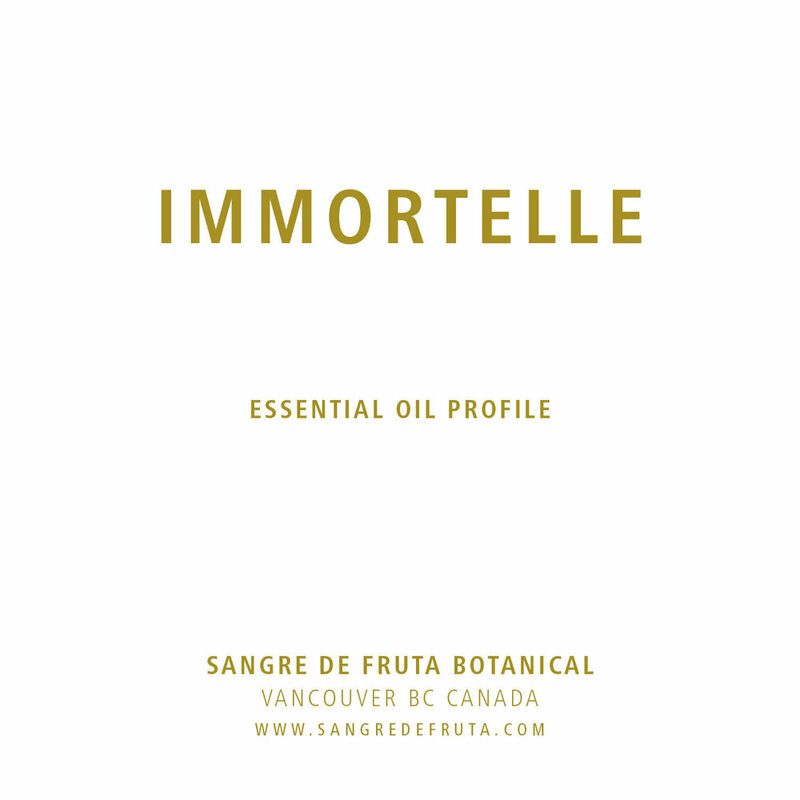 Immortelle is said to have a relaxing and elevating effect on the mind, increase dream activity, stimulate imagination and intuition. MEDICINE: Anti-Inflammatory, analgesic. Immortelle is used in mixtures for reliving rosecea symptoms and treating acne (or other) scarring.